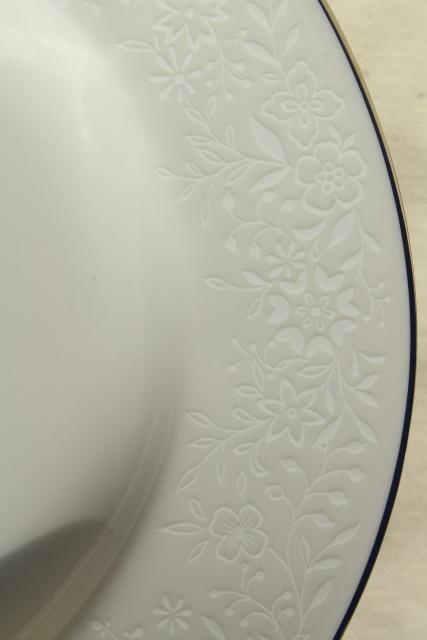 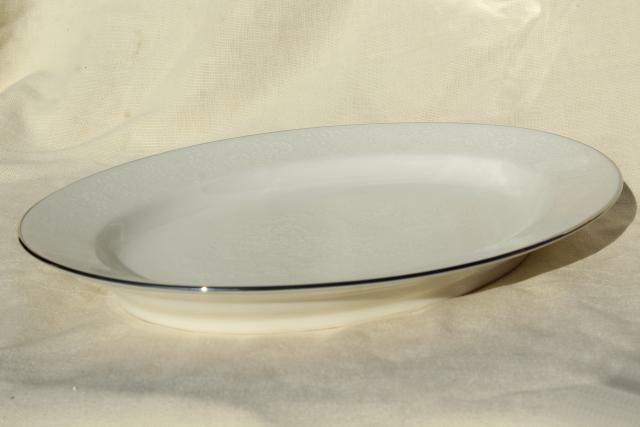 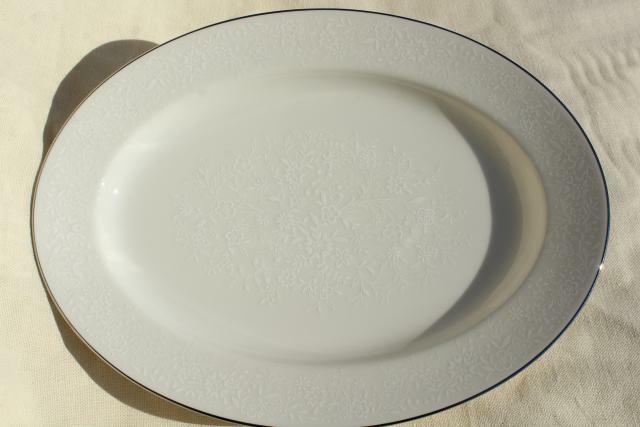 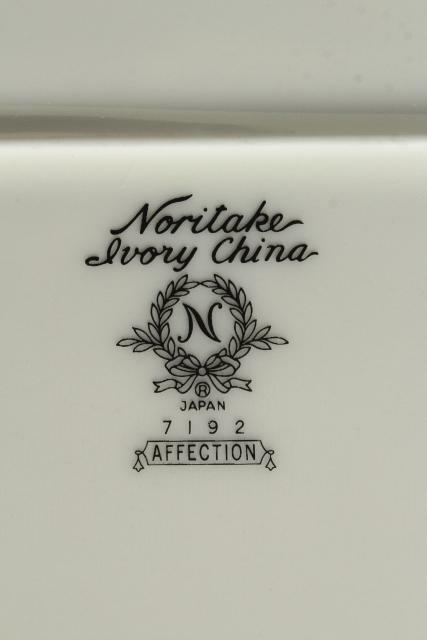 Lot of vintage Noritake china completer pieces in the Affection pattern, white on ivory white with silver band trim, marked with the Noritake N mark. 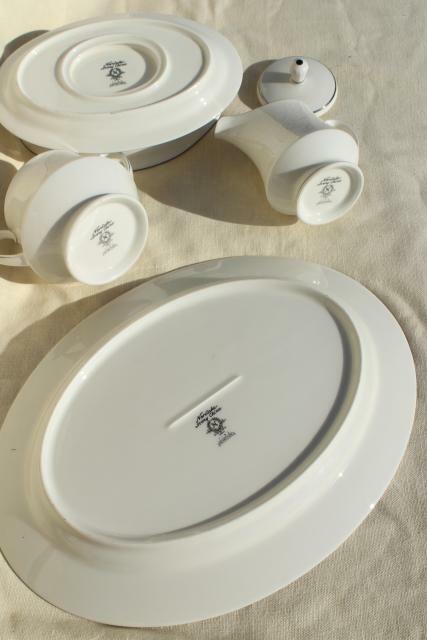 These are used, but in very nice condition without chips or cracks, showing little wear. 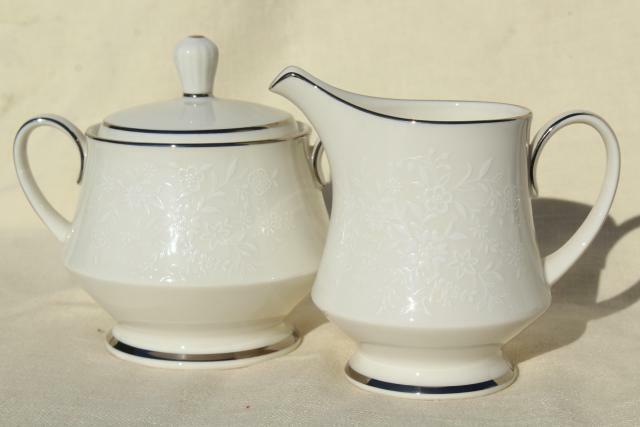 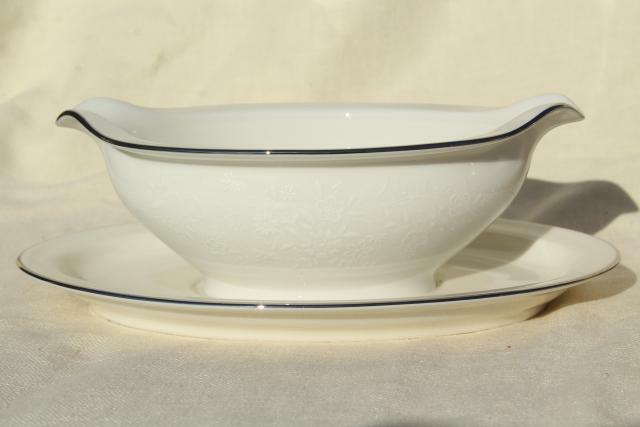 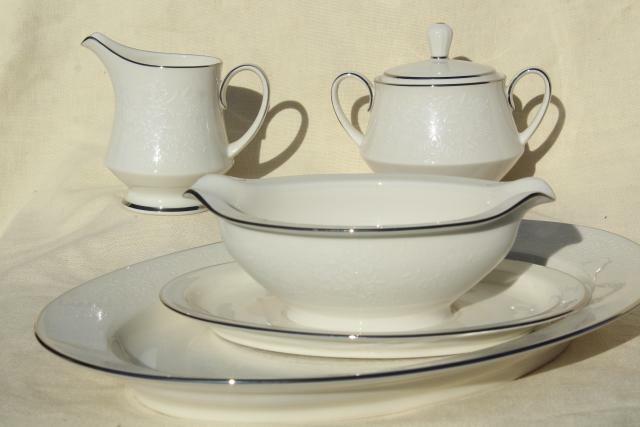 This lot is a cream and sugar set, a gravy boat with attached underplate, and an oval platter 13 1/2" across.